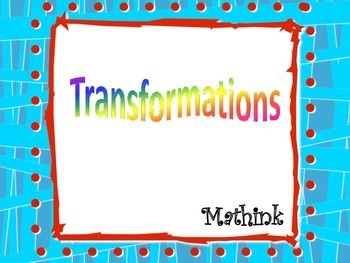 This product is a unit to teach understanding of transformations. 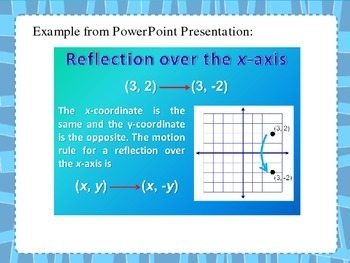 It includes a PowerPoint presentation (66 slides) to enable students to understand transformations conceptually. 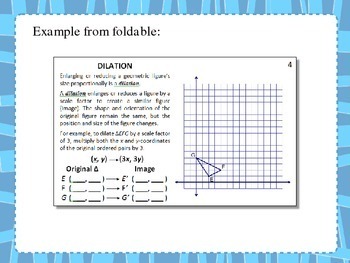 A student foldable (12 pages) of the four different transformations that is built to accompany the PowerPoint presentation is included. 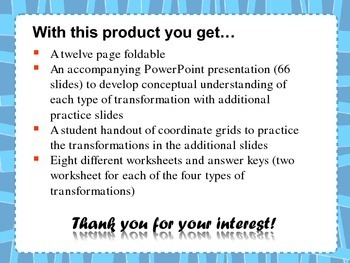 Eight different worksheets (two each for each type of transformation) are included as well as a handout of coordinate grids to use with the additional practice in the PowerPoint presentation. This product is by Mathink.